*Shop with Confidence - Honda Certified ++ *This Honda Accord LX has passed a 182 Point Honda Manufacture Inspection - This Car has been fully Serviced and is ready to go - It Comes With at NO Charge To You a 12 Months or 12,000 Miles Bumper To Bumper Warranty and The Balance of a 7 Year or 100,000 Miles Power Train Warranty ++*Plus:*A Free Carfax reports: One Owner Great Service History, No Damage Reported, No Accidents Reported ++Visit Us TodayA short visit to Castle Honda located at 6900 West Dempster Street, Morton Grove, IL 60053 can get you a trustworthy CR-V today! *Shop with Confidence - Honda Certified *This Honda CR-V EX-L has passed a 182 Point Honda Manufacture Inspection. Our Dealership has installed Brand New Tires - Brand New Brakes Both in Front and Back - It Comes With at NO Charge To You a 12 Months or 12,000 Miles Bumper To Bumper Warranty and The Balance of a 7 Year or 100,000 Miles Power Train Warranty. *Plus:A Free Carfax reports: Great Service History, No Damage Reported, No Accidents Reported. **You Can't Beat the Price with These Options *+ Leather Heated Seats ++ Power Moon Roof ++ Alloy Wheels ++ Rear Back Up Camera W/ Park Assist ++ Traction Control ++ All Wheel Drive ++ Much Much More*Visit Us Today *A short visit to Castle Honda located at 6900 West Dempster Street, Morton Grove, IL 60053 can get you a trustworthy CR-V today! *Shop with Confidence - Honda Certified ++ *This Honda Odyssey has passed a 182 Point Honda Manufacture Inspection. Our Dealership has brought all Maintenance Up To Date - It Comes With at NO Charge To You a 12 Months or 12,000 Miles Bumper To Bumper Warranty and The Balance of a 7 Year or 100,000 Miles Power Train Warranty. ++*Plus:*A Free Carfax reports: Great Service History, One Owner ++Visit Us TodayA short visit to Castle Honda located at 6900 West Dempster Street, Morton Grove, IL 60053 can get you a trustworthy CR-V today! Safe and reliable, this certified Used 2016 Honda CR-V EX-L makes room for the whole team and the equipment. This Honda CR-V comes equipped with these options: Wheels: 17 Alloy, Valet Function, Trip Computer, Transmission: Continuously Variable w/Sport Mode, Tailgate/Rear Door Lock Included w/Power Door Locks, Systems Monitor, Strut Front Suspension w/Coil Springs, Steel Spare Wheel, Speed Sensitive Variable Intermittent Wipers, and Sliding Front Center Armrest and Rear Center Armrest. Carry all your passengers in luxurious comfort in this safe and reliable Honda CR-V. Test drive this must-see, must-drive, must-own beauty and get a hassle-free deal today at Castle Honda, 6900 West Dempster Street, Morton Grove, IL 60053. Tried-and-true, this certified Used 2016 Honda Odyssey EX-L makes room for the whole team and the equipment. This Honda Odyssey features the following options: Window Grid Antenna, Wheels: 17 x 7 Alloy, VSA Electronic Stability Control (ESC), Valet Function, Trunk/Hatch Auto-Latch, Trip Computer, Transmission: 6-Speed Automatic, Transmission w/Driver Selectable Mode, Tires: P235/65R17 103T AS, and Tailgate/Rear Door Lock Included w/Power Door Locks. Pilot the whole group in the comfort of every amenity in this sturdy and worry-free Honda Odyssey. Treat yourself - stop by Castle Honda located at 6900 West Dempster Street, Morton Grove, IL 60053 to make this car yours today! No haggle, no hassle. *Shop with Confidence - Honda Certified*This Honda Odyssey EX-L has passed a 182 Point Honda Manufacture Inspection. Our Dealership has installed Brand New FT Brakes - Rear Brakes Where Recently Replaced - Comes With NO Charge To You ++ 12 Months or 12,000 Miles Bumper To Bumper Warranty ++ 7 Year or 100,000 Miles Power Train Warranty ++*Plus:*A Free Carfax reports: One Owner, Great Service History, No Damage Reported, No Accidents Reported, Locally Driven ++*You Can't Beat the Price with These Options*+ Leather Heated Seats ++ Power Moon Roof ++ Rear Back Up Camera W/ Park Assist ++ Traction Control ++ Much Much MoreVisit Us TodayA short visit to Castle Honda located at 6900 West Dempster Street, Morton Grove, IL 60053 can get you a trustworthy CR-V today! *Shop with Confidence - Honda Certified - *This Honda Pilot AWD EX-L has passed a 182 Point Honda Manufacture Inspection. Our Dealership has brought up to date all the maintenance - It Comes With NO Charge To You - 12 Months or 12,000 Miles Bumper To Bumper Warranty and 7 Year or 100,000 Miles Power Train Warranty*Plus:*A Free Carfax reports: One Owner, Great Service History, No Damage Reported, No Accidents Reported. ++ Purchased From Our Dealership New ++ Serviced With Us ++ Traded In on a New Honda ++*You Can't Beat the Price with These Options*8 Passenger Seating ++ Leather Heated Seats ++ Power Moon Roof ++ Alloy Wheels ++ Rear Back Up Camera W/ Park Assist ++ Traction Control ++ All Wheel Drive ++ Much Much MoreVisit Us TodayA short visit to Castle Honda located at 6900 West Dempster Street, Morton Grove, IL 60053 can get you a trustworthy CR-V today! *Shop with Confidence - Honda Certified*This Honda Pilot AWD EX-L has passed a 182 Point Honda Manufacture's Inspection. Our Dealership has fully serviced and all maintenance is up to date - It Comes With at NO Charge To You the Balance of a 4 Year or 48,000 Miles Bumper To Bumper Warranty and The Balance of a 7 Year or 100,000 Miles Power Train Warranty. *Plus:*A Free Carfax reports: One Owner, Great Service History, No Damage Reported, No Accidents Reported. - Purchased Brand New From Our Dealership and Serviced With Us! *You Can't Beat the Price with These Options*++ Leather Heated Seats ++ Power Moon Roof ++ 8 Passenger 3rd Row Seating ++ Trailer Tow Package ++ Alloy Wheels ++ Rear Back Up Camera W/ Park Assist ++ Traction Control ++ All Wheel Drive ++ Much Much MoreVisit Us TodayA short visit to Castle Honda located at 6900 West Dempster Street, Morton Grove, IL 60053 can get you a trustworthy CR-V today! Safe and reliable, this Used 2016 Honda Pilot EX-L makes room for the whole team and the equipment. This Honda Pilot has the following options: Window Grid Antenna, Wheels: 18 Alloy, Wheels w/Machined Accents, VSA Electronic Stability Control (ESC), Valet Function, Trunk/Hatch Auto-Latch, Trip Computer, Transmission: 6-Speed Automatic, Transmission w/Driver Selectable Mode, and Tires: P245/60R18 105H AS. Carry all your passengers in the comfort of every amenity in this sturdy and worry-free Honda Pilot. Test drive this must-see, must-drive, must-own beauty and get a hassle-free deal today at Castle Honda, 6900 West Dempster Street, Morton Grove, IL 60053. Sturdy and dependable, this Used 2016 Honda Pilot Elite makes room for the whole team and the equipment. This Honda Pilot has the following options: Window Grid Antenna, Wheels: 20 Alloy, Wheels w/Machined Accents, VSA Electronic Stability Control (ESC), Voice Activated Dual Zone Front Automatic Air Conditioning, Valet Function, Trunk/Hatch Auto-Latch, Trip Computer, Transmission: 9-Speed Automatic -inc: Shift-By-Wire (SBW) and paddle shifters, and Transmission w/Driver Selectable Mode. Pilot the whole group in comfort and style in this tried-and-true Honda Pilot. A short visit to Castle Honda located at 6900 West Dempster Street, Morton Grove, IL 60053 can get you a hassle free deal on this tried-and-true Honda Pilot today! *Shop with Confidence - Honda Certified ++ *This Honda Pilot AWD EX-L has passed a 182 Point Honda Manufacture Inspection. Our Dealership has brought all Maintenance Up To Date - It Comes With NO Charge To You 4 Year or 48,000 Miles Bumper To Bumper Warranty and 7 Year or 100,000 Miles Power Train Warranty ++*Plus:*A Free Carfax reports: One Owner, Great Service History, No Damage Reported, No Accidents Reported ++ Suburban Locally Driven Trade In ++ Serviced and Purchased New From Our Dealership ++*You Can't Beat the Price with These Options ++ *8 Passenger Seating ++ Leather Heated Seats ++ Power Moon Roof ++ Alloy Wheels ++ Rear Back Up Camera W/ Park Assist ++ Traction Control ++ All Wheel Drive ++ Much Much MoreVisit Us TodayA short visit to Castle Honda located at 6900 West Dempster Street, Morton Grove, IL 60053 can get you a trustworthy CR-V today! When you need to change your car and also think of saving some precious bucks, visit Castle Honda, Morton Grove, IL as we have a massive inventory of certified pre-owned Hondas. All these vehicles are inspected in detail by our factory trained and certified mechanics and we have complete examination reports of every car, SUV, truck or crossover. Among these certified pre-owned Hondas, some are featured by Castle Honda, Morton Grove, IL. These featured Hondas are mostly first owner use as they are in flawless condition and boost low mileage. As you decide to buy a specific vehicle from our certified pre-owned Hondas schedule a test drive and we will provide you behind the wheels experience of your chosen Honda in Morton Grove, IL. 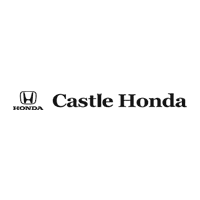 As you will drive these certified pre-owned Hondas we guarantee that you will not go without buying it from Castle Honda showroom. Visit our showroom today and we will locate you a car from our certified pre-owned Hondas that are suitable for your driving needs and lifestyle.